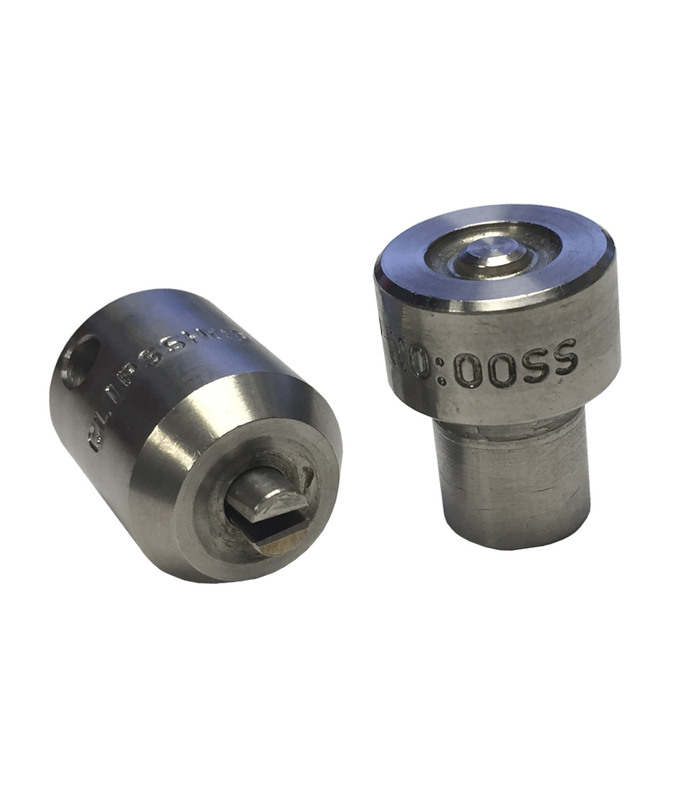 Order Grommet Attaching Machine Hand Bench Press Setting Dies from this page on the list BELOW or click on a product name for more detail on that product. 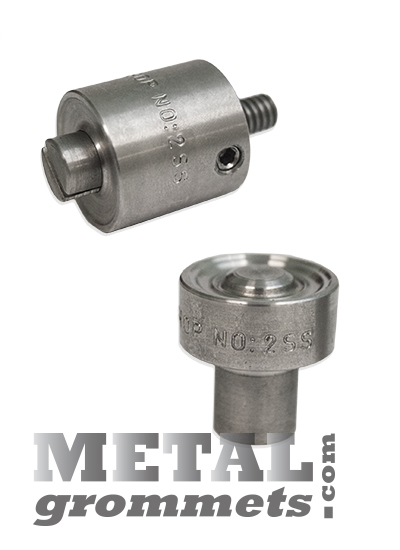 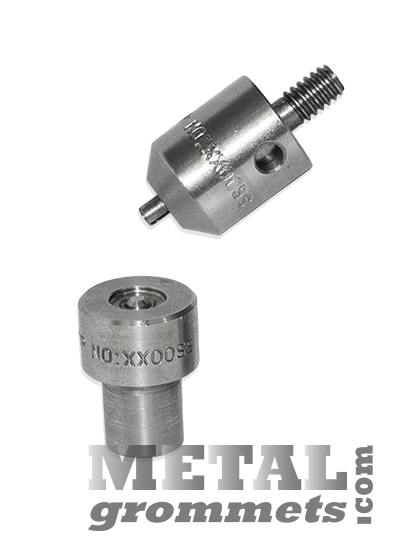 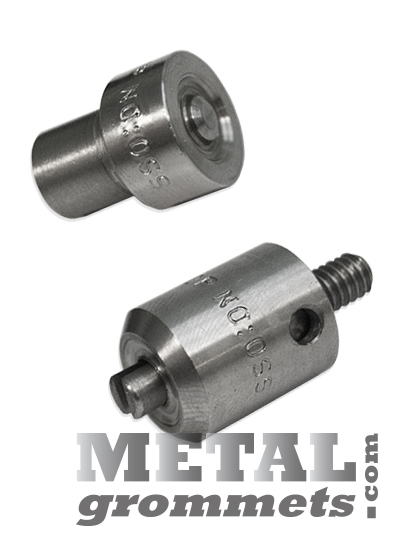 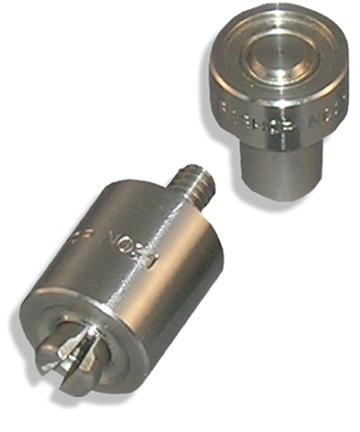 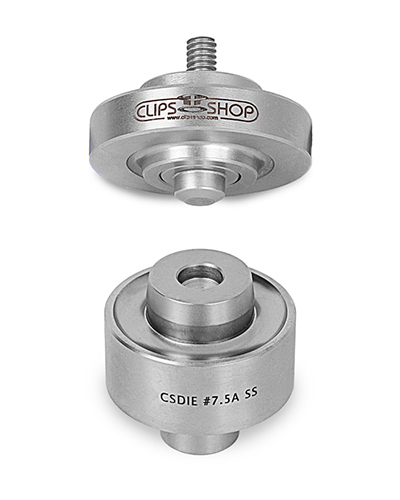 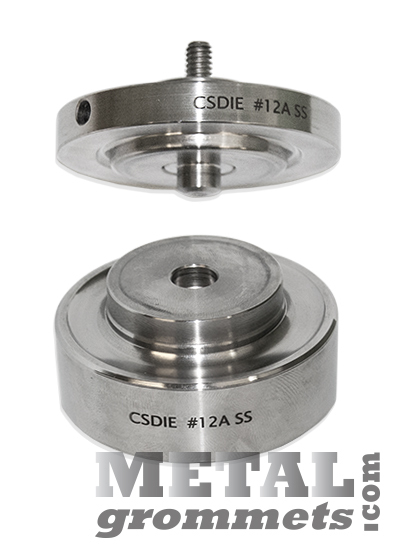 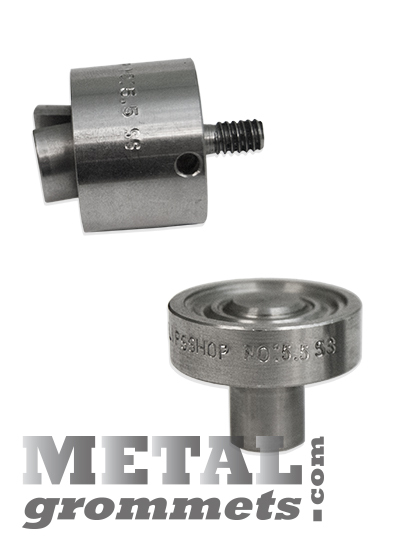 Our long lasting precision-manufactured ClipsShop stainless steel self-piercing grommet attaching setting dies come as a set with a top die and bottom die. 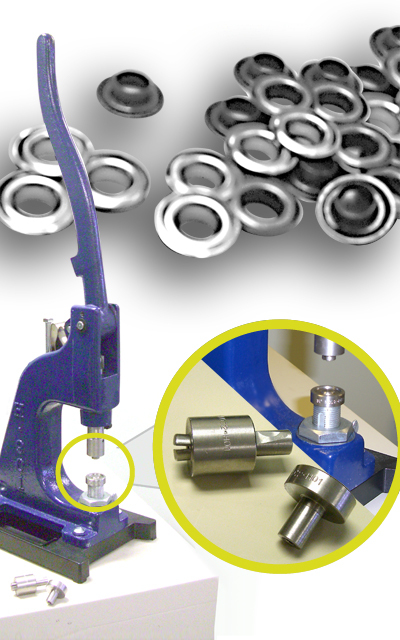 The top die threads in to the grommet attaching hand press and is spring loaded to hold the grommet securely in place before application. 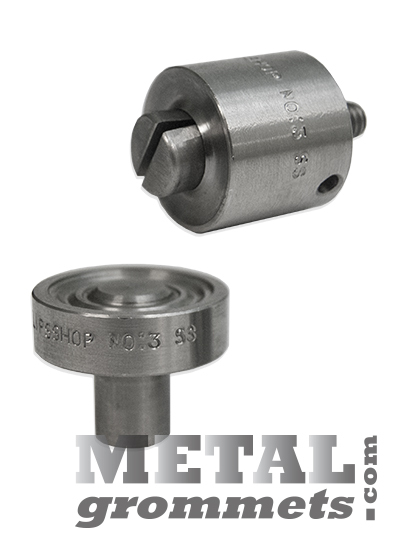 The bottom die locks in the press with a set screw and bushing to hold the washer below the work material. 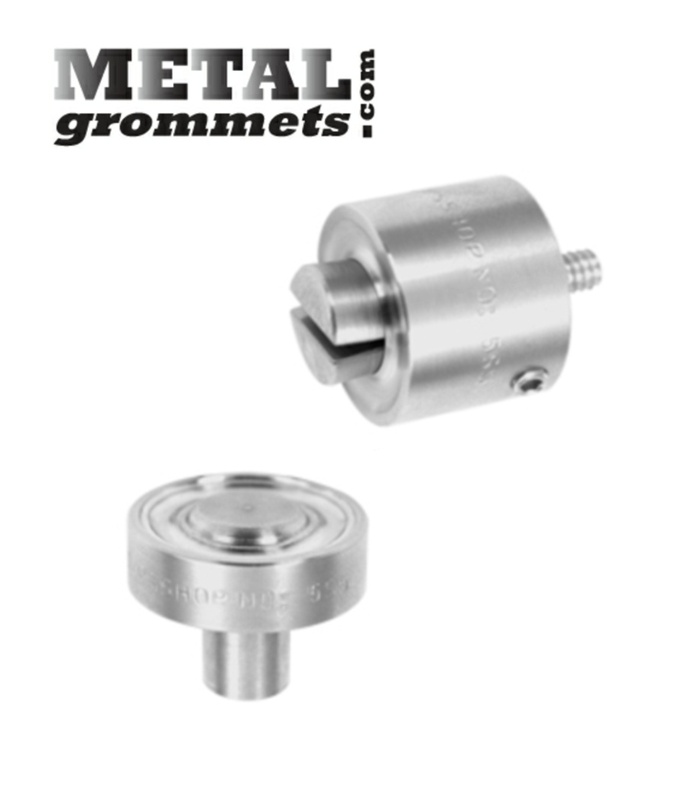 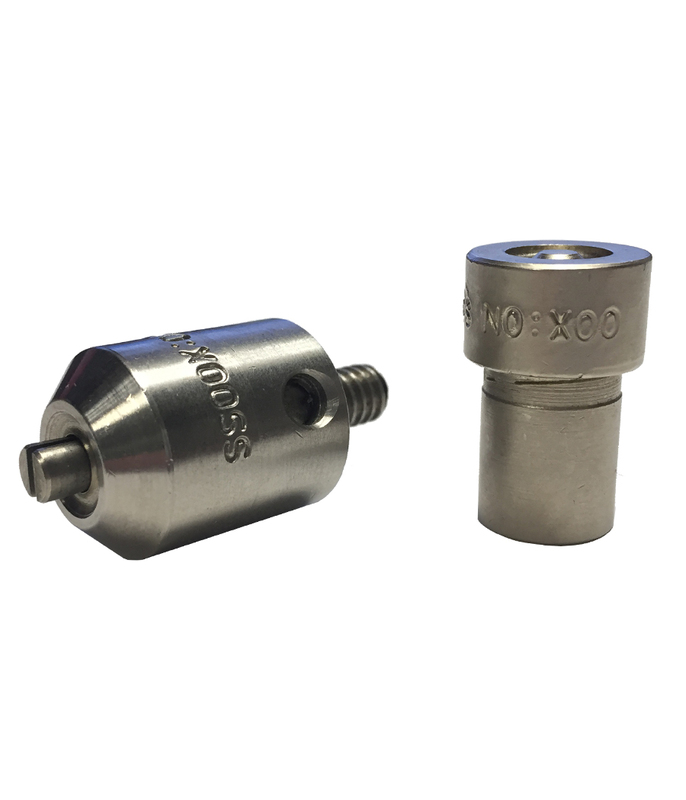 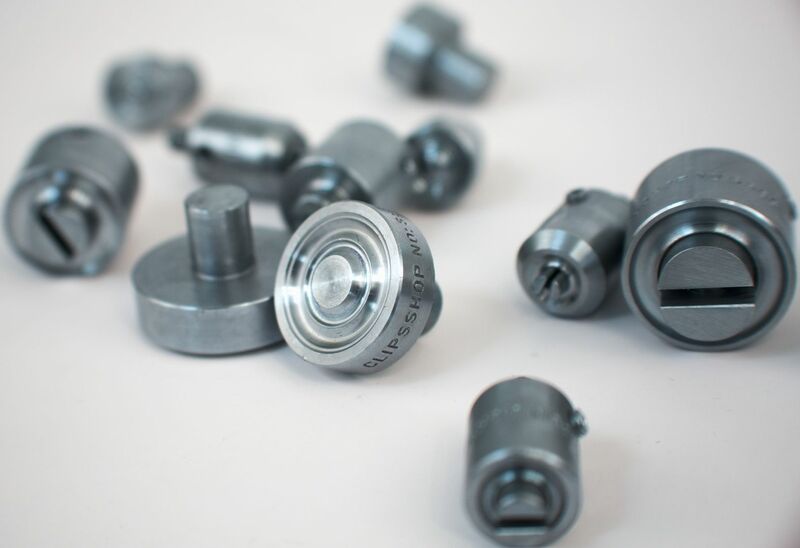 The professional industrial commercial grade stainless steel grommet attaching dies are extremely durable and long lasting. 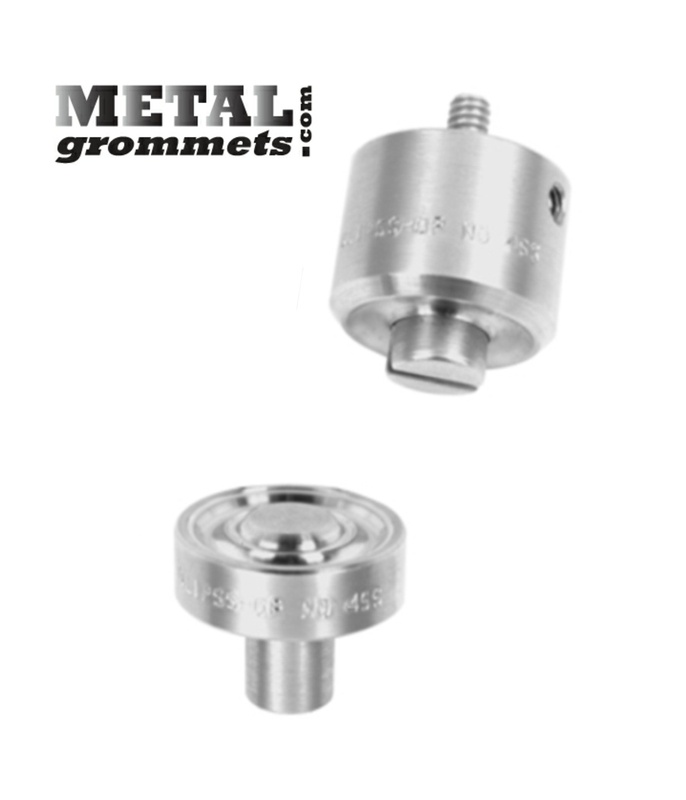 These ClipsShop grommet setting dies for applying self-piercing brass grommets are compatible with ClipsShop brand grommet attachers, hand bench presses, grommet machines, pneumatic setting press for metal grommets as well as most Micron America grommet attaching machines. 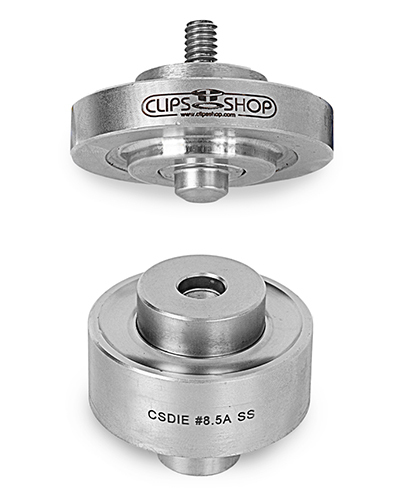 The innovative ClipsShop system allows all dies to be interchangeable with all machines (that fit the corresponding sizes)!